CANNABIS SEEDS There are 429 products. The grower who gets started with these weed seeds, will witness the flowering period after approximately 45 to 50 days. In a moderate climate the California Indica will perfectly reach its full potential and the result is a harvest of enormous proportions. With the American Dream, the people at Sensi Seeds have really done an amazing job. And growers who buy these cannabis seeds will benefit from it. Weed seeds, feminised seeds, High CBD Strains, regular seeds, hybrid cannabis seeds, autoflowering cannabis seed, indoor varieties, outdoor seeds, cannabis Sativa, cannabis Indica….. Quite a lot of terms are used in the world of cannabis seeds. It is our experience that it is of the utmost importance for the hobby grower and the small-scale home grower to have access to good genetic material. Because of all these terms it is sometimes difficult for the starting cannabis grower to try and make sense of it all. A bit of knowledge about the different types of weed seeds can already help you a long way. If you know what you want and what you need, it is a lot easier to make the right choice. Even if you purchased the best breeding materials in the growshop, without good genetics you will never be able to grow cannabis of a superior quality. That is why seedmarket.com is the right place to be. In our assortment you will find a very diverse range of cannabis seeds, we have many varieties that are originating from all parts of the world and that all possess specific characteristics. The varieties we offer are the result of the work of passionate people who have explored the world in their search for the best cannabis genetics available. Which type is best suitable for you, depends on your personal approach and the way in which you prefer to work. 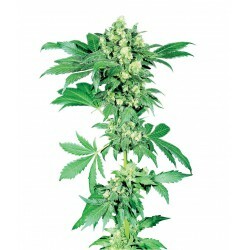 If you only want to grow female cannabis plants for the weed, feminised weed seed is a good choice for you. This way you are certain that all your plants will be female and that you do not have to worry about male plants growing in your garden so you do not waste any space and time cultivating male plants. If you want to start developing your own types and make cannabis crossings, you will need regular seed. Only cannabis plants cultivated from regular seed will be stable enough later on to produce seed of a stable quality as well as stable plants. The space you have available is also of the utmost importance. When you only have a tiny garden or a small grow-tent you will not be able to grow extremely large plants while it is possible to grow very large cannabis plants, the term ‘tree’ would actually be better suitable, in a larger garden or grow-tent should you want to. People who have to raise their plants discretely on a small terrace or in a small courtyard in the city, have completely different possibilities than growers who have access to a large garden where they can do whatever they want. On the terrace garden of a flat an autoflowering type of weed, because of its smaller size, will often be a better choice than a regular Sativa variety that can become extremely large. In general, Cannabis Sativa varieties will become a lot bigger than Cannabis Indica varieties and normal varieties will often become a lot bigger than autoflowering types. A proper planning on how you will design your garden and knowledge about the genetics you will use is important, there is no harm in thoroughly thinking it through. The amount of light available for your plant is also an important factor for the hobby grower. Cannabis plants will get their energy from (sun)light so the more light available for the plant, the larger it can become. This is normally not a problem when you cultivate the plants indoor because we work with special growlights inside, but especially for the small-scale home grower who cultivates the weed plants outdoor in the garden this may sometimes be a problem. Especially growers who live in northern regions and only have short summers with limited hours of light have to make sure that they choose the suitable genetics. Autoflowering cannabis seeds can be a good solution because or their short life cycle. This way you will achieve an optimal result even during a short summer. Of course it is also possible to grow these types indoor and in very sunny areas. The assortment of Seedmarket.com offers cannabis seeds from the most renowned seed banks in the world. You can contact us for seeds from the following seed banks: Sensi Seeds, White Label, Dutch Passion, Dinafem, Barney’s Farm, Royal Queen Seeds, Paradise Seeds, Sweet Seeds, Greenhouse and Strain Hunters. This means the best genetic material is also available for you. These seed banks have proven throughout the years that they are suppliers of good genetics and that you can rely on the varieties they develop blindly. After buying your seeds it is important to properly store them so they will remain in an excellent condition and not lose their germinating power. The best way to store your weed seeds is in a dark, cool and dry space at a temperature of 4-7 degrees so no fungus and condensation arises. This way your cannabis seeds are sustainable for a while and remain in optimal condition.